For starters, Kobe has already put together a marketing plan for his final NBA season. This includes exploiting the term “KB20” and seeking to protect it as a trademark. The “KB20” mark is not just for basketball, though. Kobe has filed applications to register this mark in eleven different classes of goods and services. He seeks to use this mark on everything from “Metal key chains” to “Beach towels” to “Action figures” and “Educational and entertainment services.” Kobe must have taken some notes from George Lucas. Kobe filed the application to register KB20 on November 20, 2015, nine days before he formally announced his retirement plans. 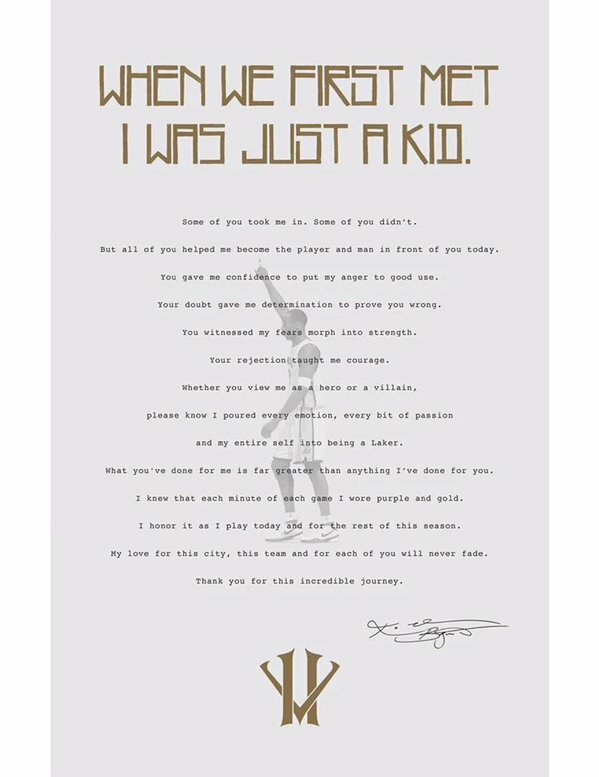 These appear to be for Kobe’s future business line, and he began using these marks and logos in the letter that was handed to fans at the Lakers’ first game after he made the retirement announcement. Simply put, the retirement is part of a marketing strategy that has been planned for a long time. Why is Kobe making such a concerted effort to get trademark registrations? He has not even retired yet. Why should Kobe be able to claim trademarks on a business that has effectively not started and is still in the planning phases? This seems unfair for Kobe to just be able to call “dibs” on certain words and phrases without actually using them yet. Technically, Kobe has only filed “intent to use” trademark applications. It is called a “Section 1B” application because the owner (Kobe Inc.) has declared a bona fide intent to use these trademarks in the future. This also explains why the applications are for a multitude of different classes and types of goods and services. Please note the distinctions here. 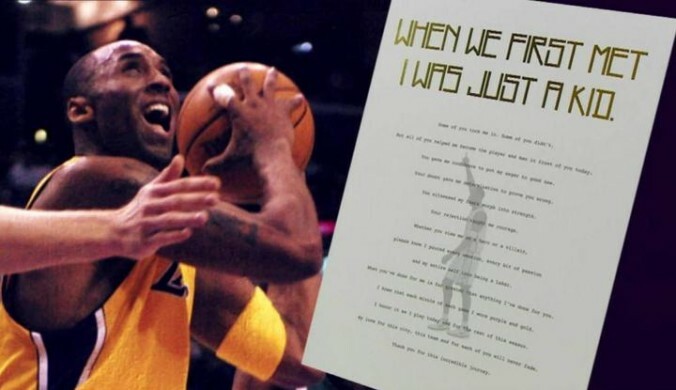 Once Kobe Inc. begins to actively “use” these marks in commerce, trademark rights attach. He does not need to actually acquire state or federal registrations to claim valid trademark rights. By having federal registrations, however, Kobe would gain certain presumptions and benefits in the event anyone tries to infringe or unlawfully exploit the value of Kobe’s name and these associated marks. Hence the paperwork assault on the USPTO by his attorneys. As of today, Kobe still has 61 more games on the schedule. It is safe to say that the Lakers are not going to the playoffs this year. Which means that his last game as a professional basketball player in the NBA will be April 13, 2015 against the Utah Jazz. That gives Kobe and his corporate entity five months to plan ahead and get ready for whatever comes next. They already have a head start on protecting Kobe’s intellectual property rights. U.S. Trademark App. No. 86/827,409. U.S. Trademark App. No. 86/827,201. U.S. Trademark App. No. 86/827,675. U.S. Trademark App. No. 86/827,548. I really, really hate the Utah Jazz.